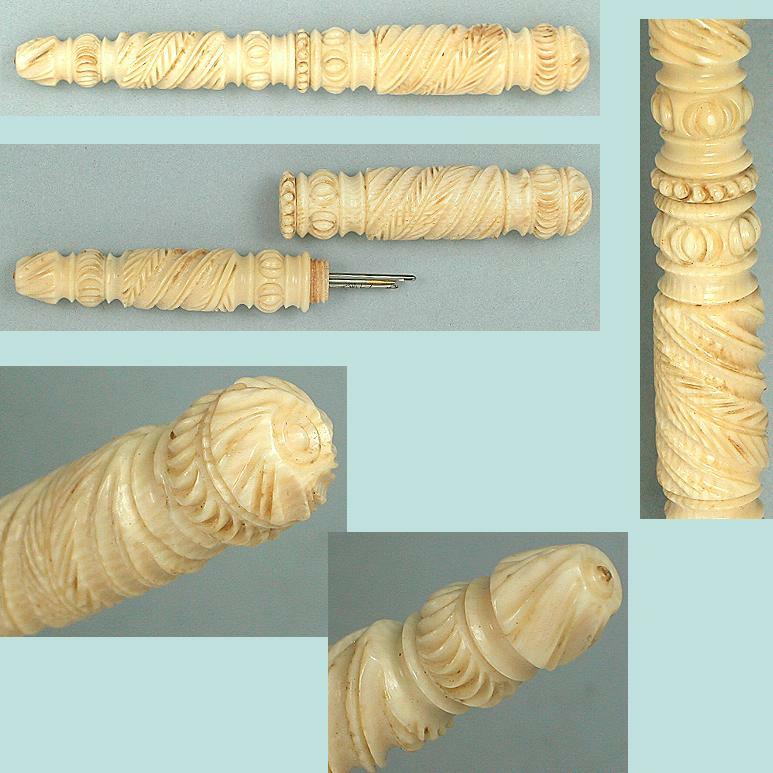 This elegant antique cotton or thread barrel is carved of ivory and has a beautiful old patina and grain pattern. It has smooth sides and turned bands. 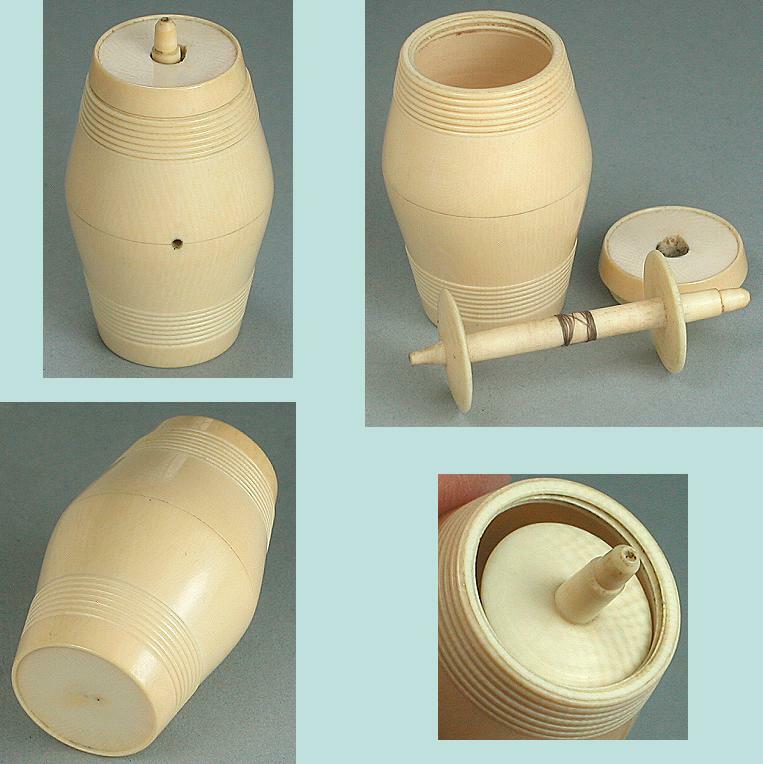 The top unscrews from the barrel and inside is a little spool which was to be wrapped with thread. There's a hole in the side to feed the thread through and the spindle on top winds in the thread. The condition is excellent with no chips, cracks or other damage. It would have graced an English workbox of the early 19th century. It measures almost 2" high by 1" in diameter. Some like this are shown on p. 160 of Gay Ann Rogers' book "An Illustrated History of Needlework Tools".